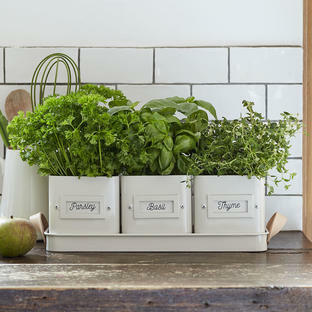 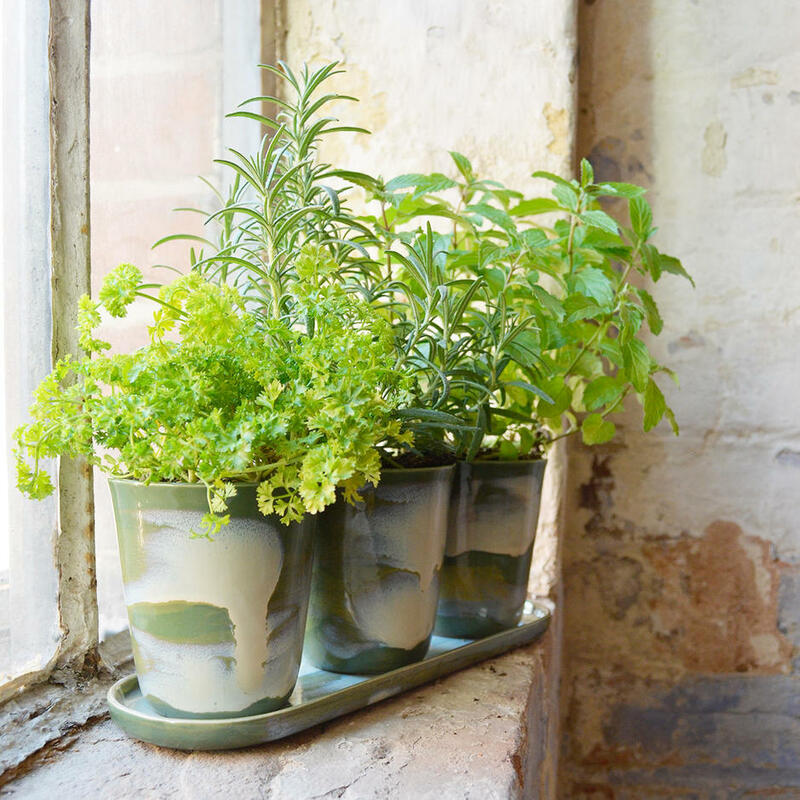 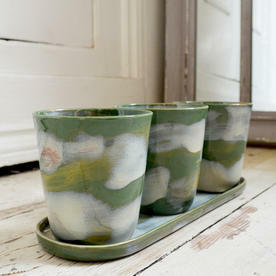 Make sure your herbs pots are as stylish as your kitchen! 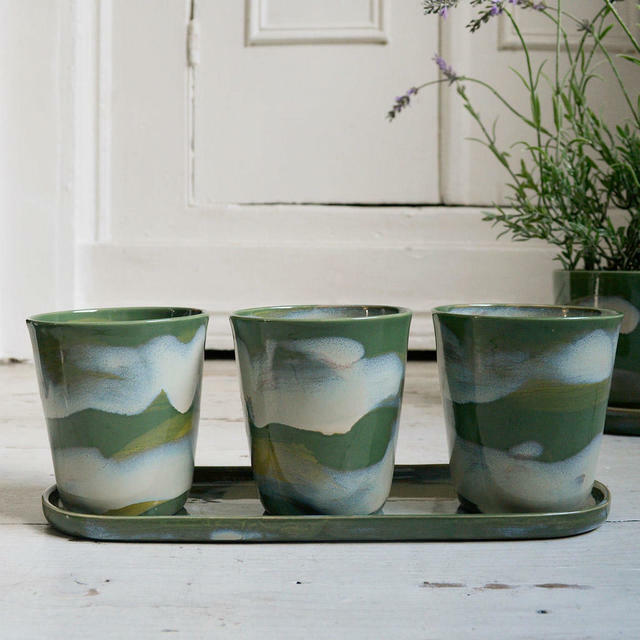 Created by the ceramist Anita Le Grelle, who was born and raised in Antwerp, these gorgeous glazed herb pots show how a functional item can be a thing of beauty. 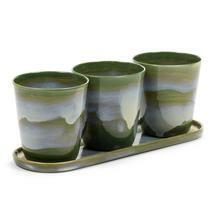 These three green-glazed herb pots on a trough styled saucer definitely fit the William Morris philosophy of being both useful and beautiful. 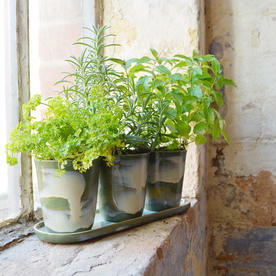 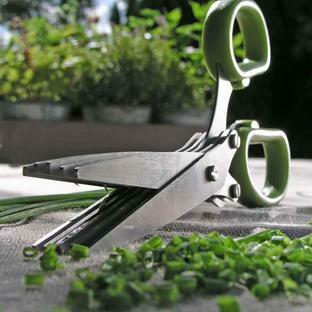 Nothing beats ',grow your own', and that includes all those herbs you constantly use. 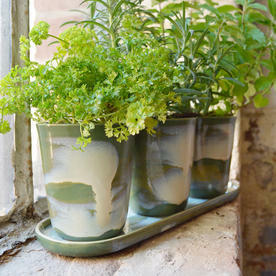 Herbs add fragrance to the room as well as flavour to your food. Each pot and saucer is uniquely decorated, so each one is slightly different. 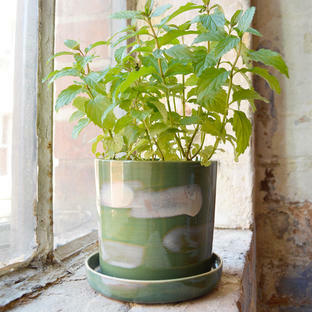 Drainage holes in each of the pots.